The death of envoy Andrei Karlov marks as one of the most severe spillovers of the Syria conflict. 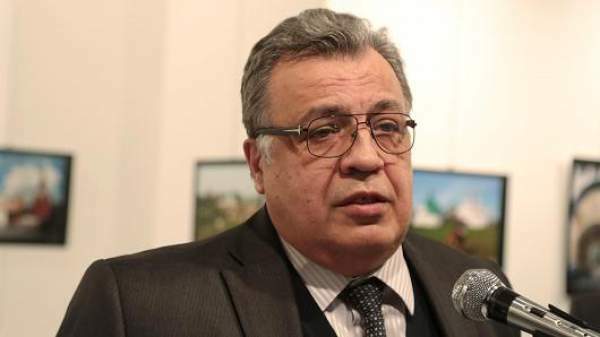 The Russian foreign ministry confirmed that Karlov died in that attack. Turkey is facing a string of attacks from the Islamic and Kurdish militants. But, the killing of an Ambassador would create resonance in the region. Russia is a close ally of Syrian President Bashar al-Assad, and its air strikes were instrumental in helping Syrian forces end rebel resistance last week in the northern city of Aleppo. President Tayyip Erdogan, however, has been a vociferous opponent of Assad. The attacker was smartly dressed in black suit and tie, and standing behind the ambassador as he made his speech at an exhibition, a person at the scene told Reuters. A Reuters cameraman at the scene said gunfire rang out for some time after the attack. The Anadolu news agency said the gunman had been “neutralized,” apparently killed. The U.S. State Department, involved in diplomatic contacts with Russia in an attempt to resolve a refugee crisis unfolding around the city of Aleppo, condemned the attack. It was not immediately clear who was behind the attack. Islamic State militants are active in Turkey since a long time. They carried out several bomb attacks on Turkish targets over the last year.